Co-occurring disorders are mental illnesses, such as depression, anxiety, PTSD, or OCD, that occur in people who are also suffering from drug or alcohol addiction. This is sometimes referred to as a dual diagnosis. The National Alliance on Mental Illness (NAMI) reports that most mentally ill people who struggle with drug or alcohol addiction are men between 18 and 44. However, women and older adults can also have a dual diagnosis. Someone who suffers from severe anxiety in social situations might turn to alcohol to relax and feel more comfortable in a group setting. Stimulants like cocaine or methamphetamine are often abused by people who are suffering from depression because they temporarily increase focus, attention, and energy levels. Benzodiazepines or prescription sleep aids may be abused by someone suffering from PTSD as a way to cope with the anxiety and insomnia associated with the condition. Self-medicating may be done for several different reasons. Some people lack the resources necessary to obtain a proper diagnosis, while others are simply afraid to discuss their symptoms with a healthcare provider due to the societal stigma surrounding mental illness. In the case of severe illnesses such as schizophrenia, self-medicating can also be a response to unpleasant side effects associated with certain prescribed medications. Self-medicating mental illness with drugs and alcohol is problematic because it’s only effective in the short term. Tolerance quickly develops, requiring higher doses of the abused substance to achieve the same effect. This leads to withdrawal symptoms when the substance is no longer being used and will eventually intensify the symptoms associated with the underlying mental illness. 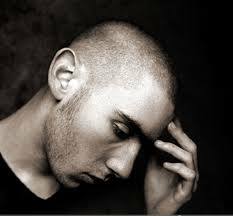 Effects of adolescence: The teen years are the time when signs of mental illness most often begin to appear. This is also the time when peer pressure and societal influences can lead vulnerable young people to experiment with drugs and alcohol. Since the brain is still developing during adolescence, substance abuse during this time can worsen the symptoms of mental illness. Overlapping genetic risk factors: Research is still being done to understand how our genes affect addiction, but there appears to be a significant overlap in the genes linked to higher risks of addiction and those linked to a higher risk of mental illness. Involvement of similar brain regions: Certain parts of the brain are affected by both substance abuse and mental illness. For example, depression, schizophrenia, and other psychiatric disorders are linked to abnormalities in the circuits of the brain that process the neurotransmitter dopamine. Addictive substances flood the brain with dopamine, creating a powerful motivation to continue using. While most people with co-occurring disorders exhibited symptoms of mental illness before developing drug or alcohol addiction, it’s possible for addiction to create symptoms of a mental illness. For example, long term abuse of ecstasy can create changes in the brain that lead to issues with depression and anxiety. There is also some evidence to suggest that substance abuse in the teen years increase the risk of developing a mental illness later on in life, since drugs and alcohol can affect the growth of brain. When seeking addiction treatment, it’s vital that you choose a program that addresses both substance abuse and the underlying mental illness. If you treat the substance abuse as an independent and unrelated problem, it’s difficult to maintain long-term sobriety because you’re not addressing the underlying issues that led to your addiction in the first place. Making the decision to seek addiction treatment can feel a bit overwhelming, but know that is the first step in regaining control of your life and planning for a brighter future.